We Are Manufacturing Lappet And Hook For Spinning And Doubling Machine. We Are Manufacturing It And Make Plating With Nickel, Chrome And Hard Chrome. We manufacture Lappets and Hooks that are best in quality and are available at competitive rates. These spares are best in quality and are procured from dependable resources. They are the best in the market when compared with other competitor’s product. They are corrosion resistant and durable and sturdy in performance. 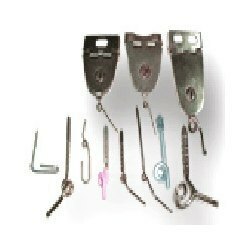 Our company holds vast experience in this domain and is involved in offering Lappet Hook. We are manufacturing lappet hooks with fantastic quality which gives life on more than 5 years for cotton spinning ring frame and for polyester and PC we have special glassimat lappet hooks. Our company holds vast experience in this domain and is involved in offeringLappet Hook. High in demand, our Zinser Ring Frame Machine Lappet Hooks are durable in nature. The company is the prominent Zinser Ring Frame Machine Lappet Hooks Manufacturer, Exporter, and Supplier in India. 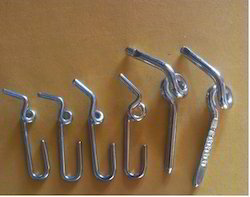 Since 2000 we are manufacturing for OEMs variety of Lappet Hooks out of special raw materials suitable for all Spinning and Doubling Machines and have supplied numerous quantities to textile mills including LMW, Zinser, Rieter, Marzoli, Platt Saco Lowell, Suessen, Toyoda machines and more.